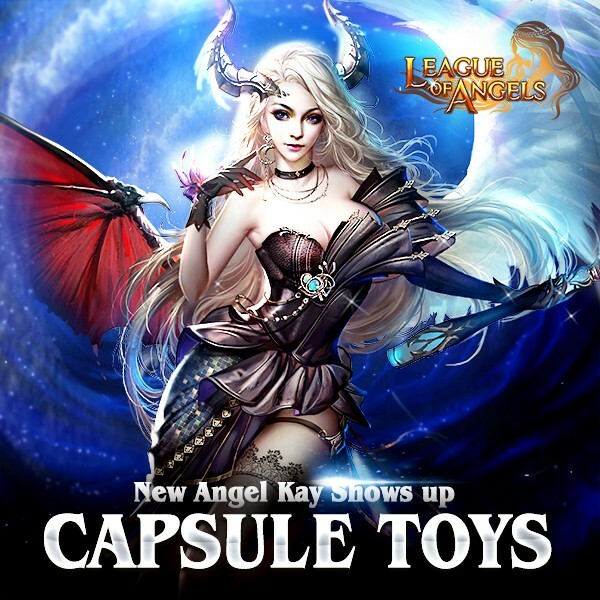 Wanna fight with New angel Kay? Don't worry, here she comes! Also, Nyssa Statue, Sunflower, Fountain and Springtime are waiting to docorate your Homestead. 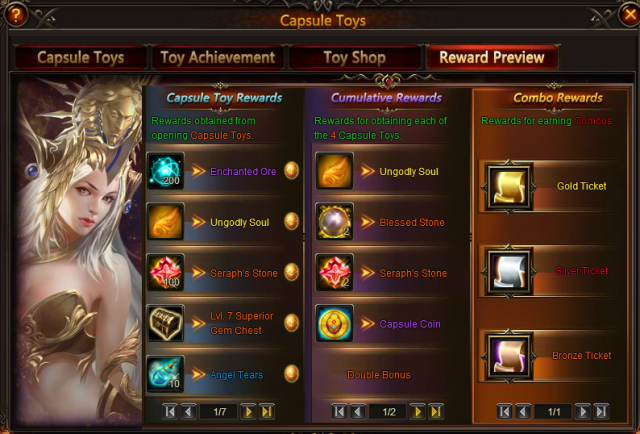 What's more, the newly added Golden Dragonsoul Pack(W) and Golden Dragonsoul Pack(F) will be available in Capsule Toys for the first time! 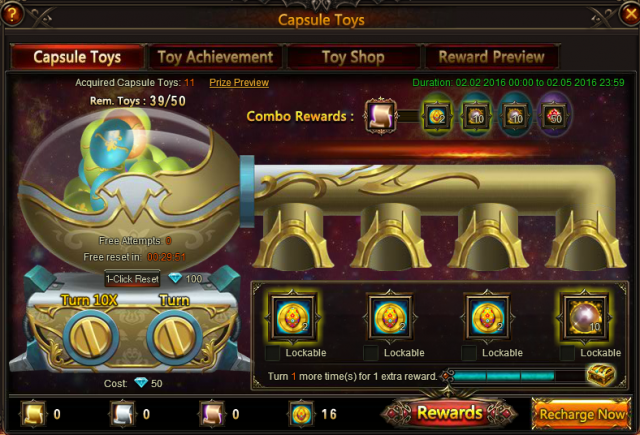 Inflamed Warlord, Heaven Hunter, Raphael, Popstar Fashion, Dance Costume, Khaos Hero Chest and Khaos Equip Chest will also be there! 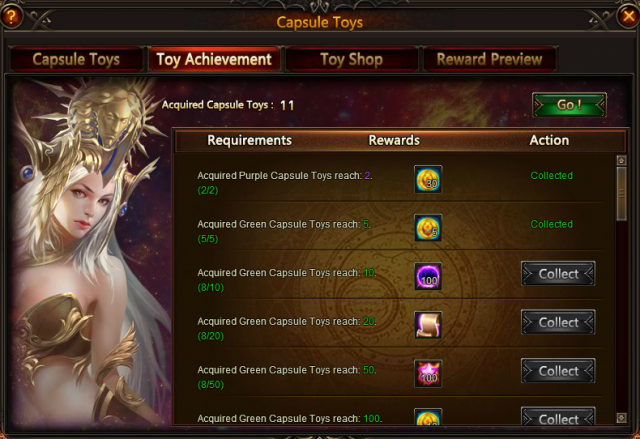 This time you can compete for new item: Kay's Icon, Golden Grasonsoul Pack(W), Golden Gragonsoul Pack(F), Khaos Equip Chest, Khaos Hero Chest; new component Nyssa Statue, Sunflower and Springtime. resources: (L2)Hades’ Staff, (L2)Poseidon’s Bow, Khaos Equip. 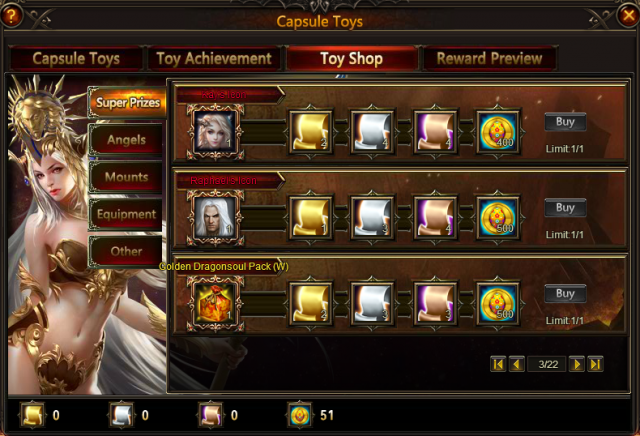 Chest, Immortal Guardian Totem(Topaz), Divine Emblem, Pandora's Mail, Heimdall's Helm, Magic Dust Chest(Uncommon), Parchment Chest(Uncommon), Lvl. 10 Dodge Gem, Lvl. 10 Agility Gem, Khaos Core, Purgatory Soul, Dark soulstone, Energy Vitamin, Runestone, Synth Scroll, Gem Enhancement Stone, Aegis Shard and more. Don't miss them out!